Länsimetsa area of Meri-Rastila, Vuosaari, Helsinki. A perfect opportunity to develop a new and sustainable planning strategy for Helsinki. The additional housing requirement for Meri-Rastila presents the perfect opportunity to test a new and more inclusive urban planning strategy, that responding smartly to the complexities of our modern digital society. There is a real possibility for the area to be a model for new participatory, green and sustainable planning solutions. The ERA17 report published by Ministry of Environment, Sitra and Tekes, states that cities should draw up a ERA17 action plan including energy smart strategies on how Finland could become the pioneer in energy efficiency by 2017. There is now only 4 years left and in Helsinki there still aren’t any physical examples of how the city could achieve this. Meri-Rastila could be a prime test bed for the expansion and renovation of an area into a nearly zero energy neighbourhood; creating a new identity for the area as a truly green neighbourhood offering the possibility to construct new housing, retail and office forms using the latest technology and thinking which in turn would attract professional forward-looking individuals into the area. In addition, by implementing a sustainable urban development plan, for example one based on LEED for Neighbourhood Development, Meri-Rastila could exemplify this new planning approach, by optimising first the areas of land currently in use before new areas are built on. The preservation of natural environments within urban spaces is an extremely important and necessary part of sustainable urban planning. And the Länsimetsä with its great and special natural values, as nature organisations like Metso have reported, is a prime example of those areas that should be protected. This Green and Sustainable design strategy could be a very good selling point for the new in-filling properties as long as it is accompanied by high quality, modern and contemporary architecture. For this new planning approach to really work, multidisciplinary co-operation of residents, officials, designers and experts should be a founding principle in order to share new knowledge and innovation and any design solution should find an equal balance between its economic, social and ecological aspects. Deep and extensive research by qualified experts should be done to find out what are the causes of segregation in Meri-Rastila and to determine the reasons for people moving out. 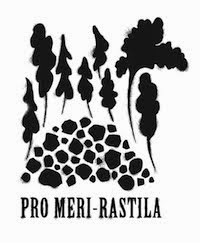 Meri-Rastila deserves as much effort in planning as any other area of the city. The drafting of the new Helsinki Yleiskaava has just begun so now is the perfect time to reconsider the planning strategy for Meri-Rastila and areas like it. In the future a master-plan competition, which encompasses the whole of Meri-Rastila would be an excellent way to discover the best methods for developing areas in a green and sustainable way. It would also be possible to use the OURCity proposal as a reference plan as it uses the same building requirements as KSV and has been drafted considering similar goals. However, its design approach has included the action and opinions of neighbour associations and it offers a more contemporary, sustainable and socially inclusive planning approach. "And the Länsimetsä with its great and special natural values, as nature organisations like Metso have reported, is a prime example of those areas that should be protected." The special natural values were shown in a survey called "METSO-kartoitus". Metso is not a nature organisation though. There are nature organisations like Luonto-Liitto, Tringa and Suomen luonnonsuojeluliitto (with Helsingin luonnonsuojeluyhdistys Helsy and SLL:n Uudenmaan piiri) that have pointed out that the Länsimetsä area should be preserved.